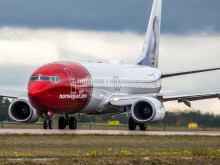 Norwegian, Europe’s third largest low-cost airline, has today been granted a UK Operating License opening up bilateral traffic rights to a series of potential new markets including Asia, South America and South Africa as the airline continues its huge growth in the UK. 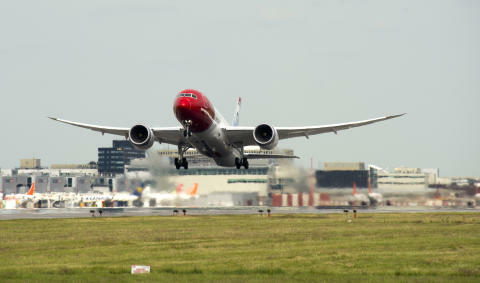 Norwegian has grown to become the third-largest airline at Gatwick and also operates from Manchester, Birmingham, and Edinburgh. Over the last 12 months, Norwegian has flown 3.9 million UK passengers to 34 global destinations, including the UK’s only low-cost direct flights to America. With new aircraft on order that will more than quadruple its current long-haul fleet, Norwegian is planning further expansion in key markets, particularly the UK. Norwegian has now obtained a UK Operating License following a detailed application process with the Civil Aviation Authority. The UK license will help Norwegian access bilateral traffic rights, opening the door to new UK routes to a series of potential new markets in the future including Asia, South America and South Africa. 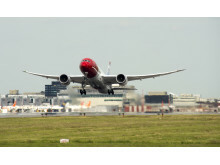 Norwegian plans to begin operating under the new license as ‘Norwegian UK’ in the first quarter of 2016 and will be located at Gatwick where the airline already has ten aircraft and more than 400 crew and pilots based. 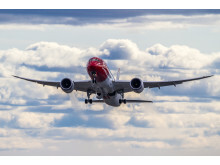 Norwegian’s new routes and UK expansion plans are expected to help create several hundred jobs within Norwegian in the coming years, along with many more in the wider travel and tourism industry. 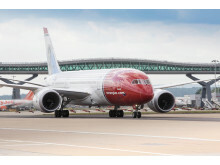 News of the UK Operating Licence follows a series of recent route launches as Norwegian continues its huge UK growth. Earlier this month Norwegian launched its 5th transatlantic route from Gatwick with the UK’s only direct route to Puerto Rico offering passengers low-cost travel to the Caribbean for the first time. Also this month, two new routes were added at Birmingham Airport helping make Norwegian the fastest growing airline at Birmingham in 2015. 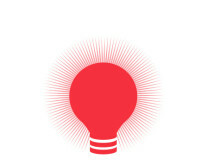 2017: Norwegian will be the European launch customer of new generation Boeing 737 MAX8 aircraft making it possible to connect smaller cities in the UK with destinations in the U.S.